Seems the diabolical month of January has given the world something of a February hangover. I just want the world to be filled with beautiful, sparkly things. 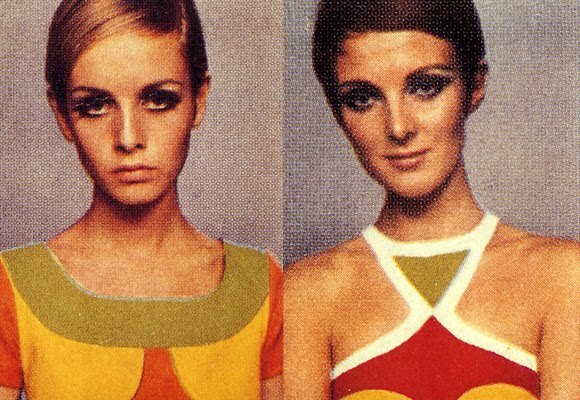 I offer you sparkly Biba and Stirling Cooper, psychedelic perfection, mod heaven, sultry Biba blues and vibrant Varonishness. Amongst other things, of course. Enjoy! I still prefer the red version, but it’s nice to see someone else wandering around London in a flamboyant Biba dress…especially one seen adorning Paula Wilcox in Man About The House. And one I have flounced around in myself, although not nearly enough for my liking. You may (or may not…where have you been hiding??) know of my love for the work of John Bates. He’s a pretty important designer to me, and [via The Avengers and subsequent research] is a big part of why I have gone down this career path. I’ve met him twice and he has also, more recently, completely unwittingly and indirectly changed another part of my life. For which I’m very grateful, and which he will have no idea about. Senti will be witness to the fact that I nearly fainted when I read what he had written in my copy of Richard Lester’s book about him. 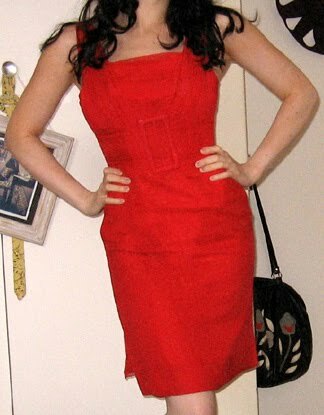 I had been wearing an early red chiffon Varon to the launch, and he wrote ‘Love the red chiffon and it fits perfectly!’. Perhaps that wouldn’t affect other, normal, people in the same way. But it was like a slice of heaven for me. Lousy photo of a great dress. Anyhoo. I don’t post a lot about my personal collection these days. To be honest with you, I’ve let go of a few things here and there. Other things need re-photographing. And several are still sitting in a no man’s land of ‘maybe I ought to sell this, really’. Hence I removed those sections from the website before I relaunched and haven’t reinstated them yet. I am still trying to thin down the Bates collection. Which is hard. You can’t even imagine how much so. It’s easier to sell an Ossie, frankly, because I know I can get a fair market value for it. But Bates is still very ‘all over the place’ and I don’t want to gamble with such gorgeous frocks. My plan is to have a comprehensive mid-Sixties array of his work. The varied, inspirational designs of his early years. Plus a decent selection of everything from then on, but minimalised greatly from what it has been. If I was having any doubts about this idea, they were swiftly removed by my most recent acquisition. The really good, really early and representative Bateses don’t turn up very often. And you often forget that, for example, you’ve personally never seen an example of his panelled crepe work turn up. Or a dress with laced panels (which I also acquired last year, and need to photograph, sorry!). I’m very lucky to own a PVC example, and a dress with foil trim – those are pretty scarce as well. I love this dress. Passionately. 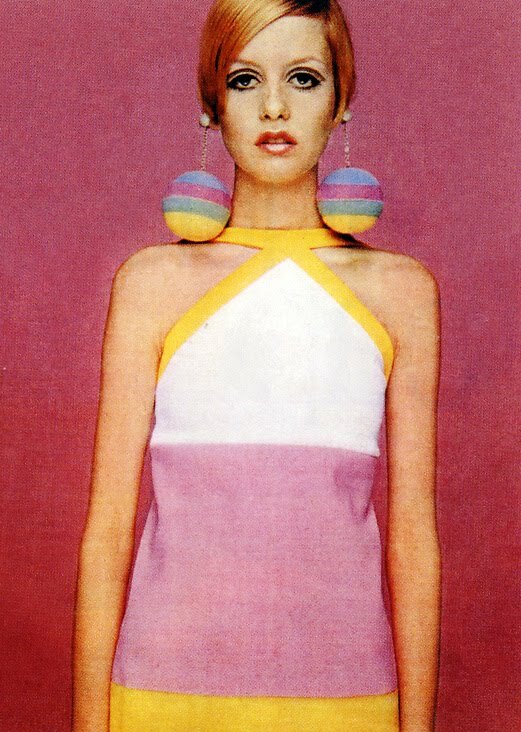 I can’t find a direct photographed example, but it’s got to be from the same year as the Twiggy and Grace Coddington photos (below and at the top of the post). Yes indeed. This dress makes me very happy. Dang. I’ve done it again. Realised after listing something that I have an actual magazine feature of a piece. This time it’s the lush moss crepe Bus Stop dress, available over at Vintage-a-Peel, which I realised I had scanned in AGES ago from the December 1970 Honey magazine. Just listed over at Vintage-a-Peel, two stunning moss crepe pantsuits. One is a Xenia, the other probably is as well – but sadly the label has been removed. Both are heavily inspired by Biba and Ossie. Both are gorgeous. Xenia are one of my favourite naughty rip-off merchants from the Seventies. They did astonishingly good copies of original Bibas and Ossies, which is just as useful today as it was back then. I just realised how grey my blog is looking currently. 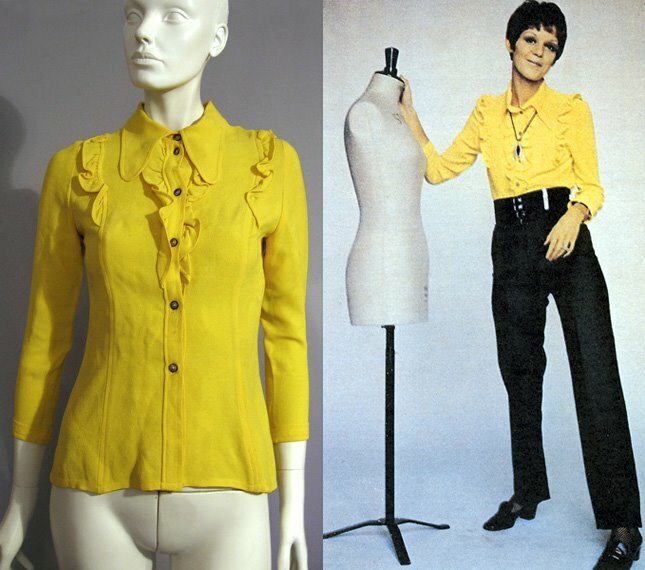 And since I was leafing through my Boutique book this morning, in an attempt to cheer my poorly self up (revenge of the spring snuffles), and realised I had never scanned in the photo of Alice Pollock wearing my Alice Pollock blouse….I thought I ought to share. And brighten this place up a bit. Because it is seriously yellow. I once made the mistake of wearing this blouse to the theatre. I hadn’t realised how tiny the theatre would be, that I would end up in the front row – practically on the stage, and that John Simm would quite possibly be blinded by my sartorial choice that night. Whoops!